RE/MAX Vision is a Woman-Owned Business. Broker/Owner Maureen Rooker is a member of Women's Business Enterprise National Council. Maureen, along with her husband AC own RE/MAX Vision, a locally owned and operated full service real estate company with a qualified & friendly team of realtors. Specialties:Buying, Selling, Foreclosures, Distressed properties, REO, Leases, Property Management, Relocation, 1031 tax exchange, New Homes, Resales,Foreclosures & investment properties, Residential, Commercial & Farm & Ranch. Serving Hutto, Williamson County, Travis County, Milam County, Austin, Pflugerville, Manor, Elgin, Round Rock,Cedar Park,Leander,& all areas of Central Texas. 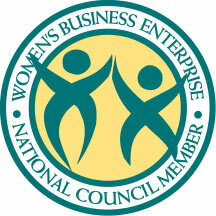 The Women's Business Enterprise National Council (WBENC), founded in 1997, is the largest third-party certifier of businesses owned, controlled, and operated by women in the United States. WBENC, a national 501(c)(3) non-profit, partners with 14 Regional Partner Organizations to provide its world class standard of certification to women-owned businesses throughout the country. Outside of the United States, certification is provided by our alliance partner, WEConnect International. For more information about The Women's Business Enterprise National Council (WBENC) click here.